Our hoist can come in many different forms. 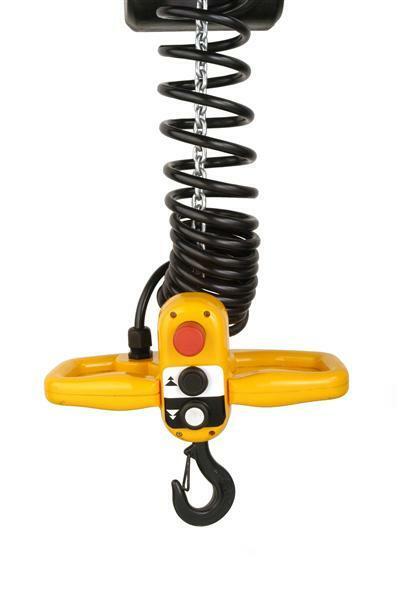 We have air powered hoist, electric chain hoist, wire rope hoist, manual hoist available. 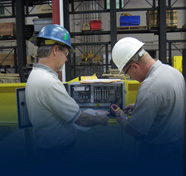 The brands that we carry include Harrington, R&M, Detroit, Shaw Box, Yale and many more brands. If you are looking to purchase a hoist get a quick quote from us by submitting an RFQ today! Electric chain hoists efficiently and safely lift and lower loads. Electric chain hoists are the most economical of the powered hoists from ¼ – 3 tons. However they have a max capacity of 20 tons. 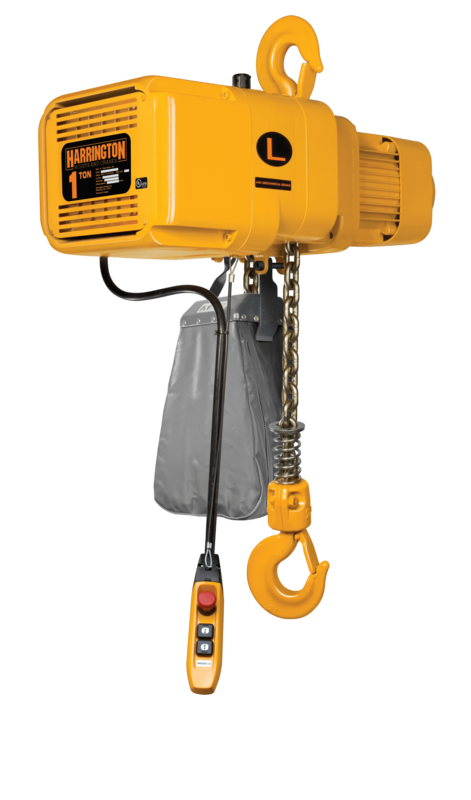 Electric chain hoists are great for heavy usage and rough environments. We have many brand and types to see read more click here. Whether rigging equipment into place or precisely placing a part into a machine, manual chain lifting hoists fill a niche in a way that no other hoists can. 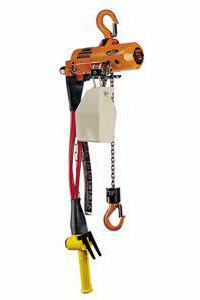 Manual chain hoist can come in two varieties as a lever puller hoist and a hand chain hoist. 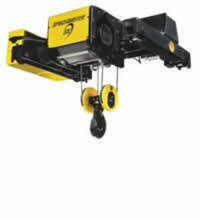 Manual chain hoist are the most economical way to lift a load. Found in all industries including manufacturing, construction, agriculture, mining, oil and public utilities. We have many brand and types to see read more click here. Wire rope hoists are generally more robust hoists that are built for a specific application, including demanding uses such as magnet duty, foundry duty, molten metal pouring, and other high use and fast moving applications. We have many brand and types to see read more click here. Air chain hoists can be operated continually at maximum load with frequent start and stop cycles. The air powered hoist is inherently designed to work well in high usage areas since air passes through the unit and exhausts heat into the atmosphere constantly cooling the hoist. Offers high capacity lifting up to 100 ton in relatively small packages where heavy rigging jobs are required and a slower speed can be accommodated. We have many brand and types to see read more click here. Simple cost effective alternative to back-breaking manual lifting. They are used in conjunction with jibs and work station cranes to efficiently handle all types of tools and parts at high speeds. With features such as load float, you can slowly and precisely place parts into position. We have many brand and types to see read more click here.